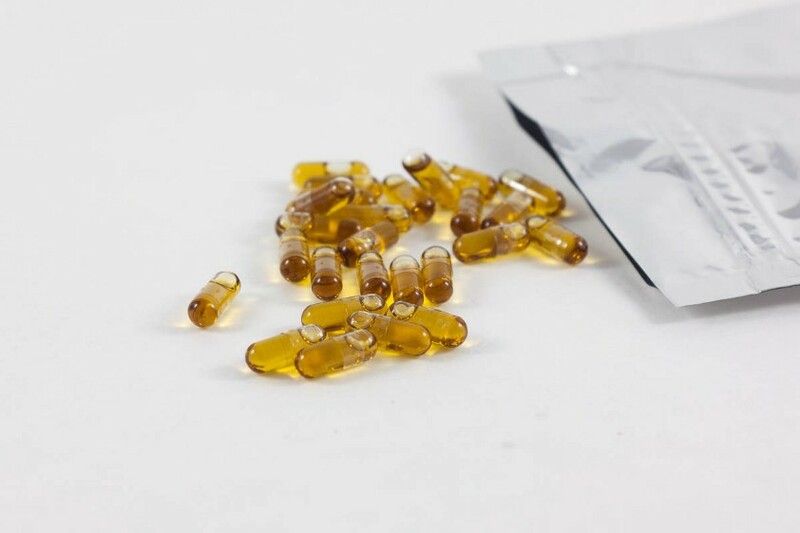 Two-piece oil capsules are commonly used in the Pharmaceutical, Natural Health and Cannabis Industries as a cost-effective and efficient option for capsule manufacturing. The capsule is made up of two parts; the body and the cap, which are separated, filled and then closed. This simple and easy filling process allows for companies to set and implement production quickly, while at the same time, keeping costs down in the initial developments. For more information on Two-piece capsules vs. Softgels, you can visit our previous post, which outlines the differences between the two. Although two-piece capsules are seen as a simple and cost-effective option, there are many factors that a company must consider before beginning production. The greatest concern regarding two-piece capsules is the potential for leakage to occur in the location where the rim of the capsule cap meets the cap body. This is known as the capsule “cut-line”. Leakage is associated with many factors such as the storage methods, quality of capsules, as well as the viscosity of oil formulation being filled. Fortunately, there are many solutions to eradicate these issues, and as well as additional capsule banding solutions, which completely seals the “cut line” of the capsule, fusing the two pieces together, into one unison piece. 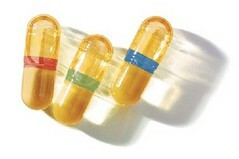 One of the most common reason for capsule leakage is the quality of the capsules. Price sensitive companies will search for the least expensive capsules on the market, not factoring in that poor-quality capsules are a direct reason for leakage problems in the future. As well, many manufacturers of capsules have designed their capsules to be filled with only powder formulations. Therefore, initial research is always recommended to find a manufacturer that produces high quality capsules designed to hold liquid formulations. Additionally, companies should always request capsule samples from manufacturers to further test and compare quality and potential leakage with their own oil formulation before going into production. This will give the company a better understanding of the capsule options they have and if they will be in risk of potential leakage. Finding a high-quality capsule is the first step, but the second and most important step is to ensure that the capsules are being stored in a proper temperature and humidity controlled environment. Companies may find that their capsules were originally not leaking and, over time, they begin to experience some capsules beginning to leak. Prolong exposure to temperature fluctuations and humidity spikes, can cause the capsules to become brittle and slightly deformed over time. It is imperative to store capsules in a controlled environment at around 35% relative humidity and at ~72 degrees F.
Another factor that companies should consider for preventing leakage, is the viscosity of oil within their capsule. If the viscosity of the oil is extremely thin, the greater the chances are of leakage to occur from the capsule’s cut line. It is recommended to avoid thin carrier oils for capsules, such as MCT Oil, because it can lead to the formulations becoming too thin to hold within the capsule shell. To reduce the chances of leakage, companies should consider formulating the oil so that it is viscous or remains in a solid state at room temperature. When filling the capsules with a viscous or solid oil, heating options can be used to heat the product to a fluid viscosity suitable for filling. After the oil is dosed into the capsule, it will return to solid or viscous state inside the capsule, and will be unable to leak through the cut-line. However, filled capsules must be tested under different conditions to ensure stability. The final and most effective method of capsule leakage prevention is to band the capsule with a capsule banding machine. Capsule banding is a method referred to applying a resin material composed of the same material as the capsule, typically Gelatin or HPMC (veggie) onto the cut-line of the capsule. The resin band fuses the body and cap together, making a one piece hard capsule. There are many indirect benefits that are also associated with capsule banding. The banding resin contributes to an overall more structured capsule, adding more mechanical strength to the product. With the addition of the capsule band, the capsule becomes more durable and is able to withstand more demanding environments in packaging and shipping. Two-piece capsule production can be an extremely cost-effective and efficient way to manufacture capsules and get to the market quickly. However, there are many factors a company must consider before beginning production to prevent leakage. The solutions mentioned in this post are a guide to help companies better understand what needs to be taken into account as they become serious about capsule production. For any further questions regarding capsule production or leakage prevention, feel free to contact chris@atgpharma.com.